What type of soil do you have? Will it be beneficial for organic farming? What kinds of crops and vegetation can you grow there? Soils are described according to the predominant type of soil particle present. This means it can only be identified as one of three things: sand, silt, or clay. 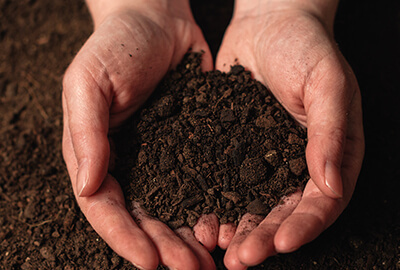 While there are professional laboratories that can test the soil for the predominant soil particle and help you identify the soil and the kind of management it needs, you can do a simple test at home and get the result as fast as you can. By conducting this simple home test, you can easily see the type of soil you are dealing with. This will let you decide what needs to be done to get it ready for organic farming. You can repeat this test with several different soil samples from your lawn or garden or farm to make sure that the soil type is the same across the area. 1. Take a quart jar and fill it with about one-third full with topsoil and add water until the jar is almost full. 2. Screw the lid on and shake the mixture vigorously until all the clumps of soil have been dissolved. Make sure that there are no clumps remaining that stuck at the bottom of the jar. 3. Then, set the jar on a windowsill or any smooth surface where you can watch the larger particles begin to sink at the bottom of the jar. 4. It will take a minute to two minutes for the sand particles of the soil to settle at the bottom of the jar. Take a pentel pen with you and mark the level of the sand on the side of the jar. 5. The next step might take several hours so leave the jar undisturbed and make sure your kids and pets will not be throwing it or shaking it around. The finer silt particles will begin to settle on top of the sand particles. You will see that the layers are different in color. This indicates various types of particles. Again, mark the level of the silt on the side of the jar. 6. Finally, leave the jar overnight because the next layer above the silt will be clay. Mark the level of clay on the side of the jar because we are not done yet. The next layer above the clay will be the organic matter. Some of the organic matter may not settle and will continue to float in the water. You want your jar to be filled with murky water and floating organic matter. If not, you need to add organic matter to your soil to improve its fertility and structure.